Our next feature is world maps. 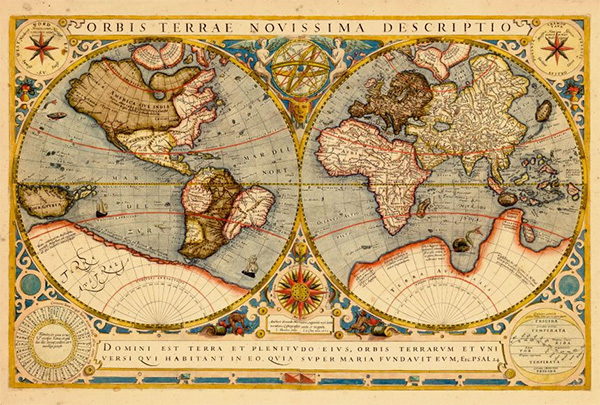 We have world maps dating back centuries, depicting all parts of the globe. Here are a few of our favorites. The rest of the collection can be accessed through Browse and Search.